I’ve been looking foward to today for weeks now. When my Aunt Kendra asked if I would be interested in taking photos of my adorable cousin Korbin, I jumped at the chance. It would be a great excuse to to go visit them and hang out for an afternoon, and it would be my first official photo shoot since our move to Nebraska in December. It just doesn’t get much better than that! Until today, we had only known Mr. Korbin through pictures posted on Facebook and the Christmas photo card hanging on our refrigerator, the card Cadence points to and giggles, cooing “Buh-bay” at least a dozen times a day. 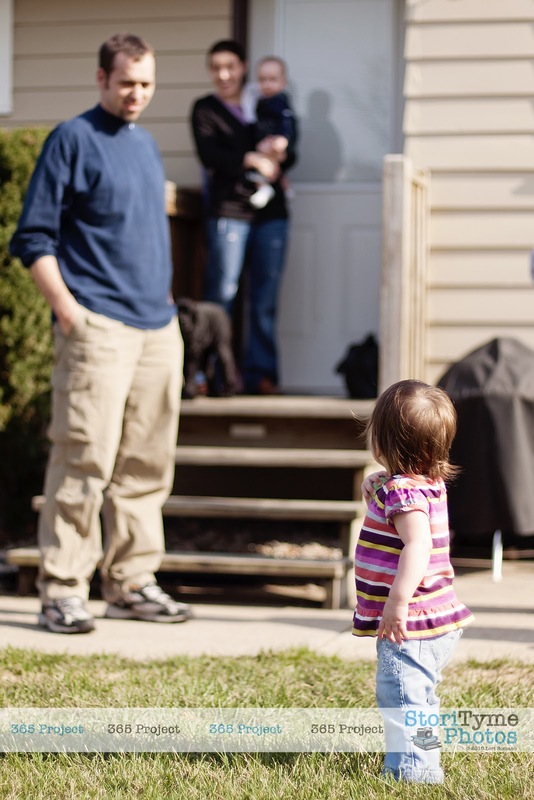 It was so nice to finally meet him in person and to watch Cadence play with her little cousin. At first, I was worried about Cadence trying to tackle him, but I guess all the practice being gentle with Electra has paid off, because we managed to make it through the entire day without any bumps, bruises or broken bones. In between the formal photo shoot with Kendra, Patrick, Korbin and their sweet cocker spaniel named Lily, I managed to get some great shots of the kiddos together. They had fun lounging in the chair together, checking out books and playing with toys. Then, we ventured outside to enjoy the beautiful weather. Cadence hates wearing hats, and decided to help Korbin take his off too. She was also ready to help him shed his socks, but we were able to distract her before she completed her mission. 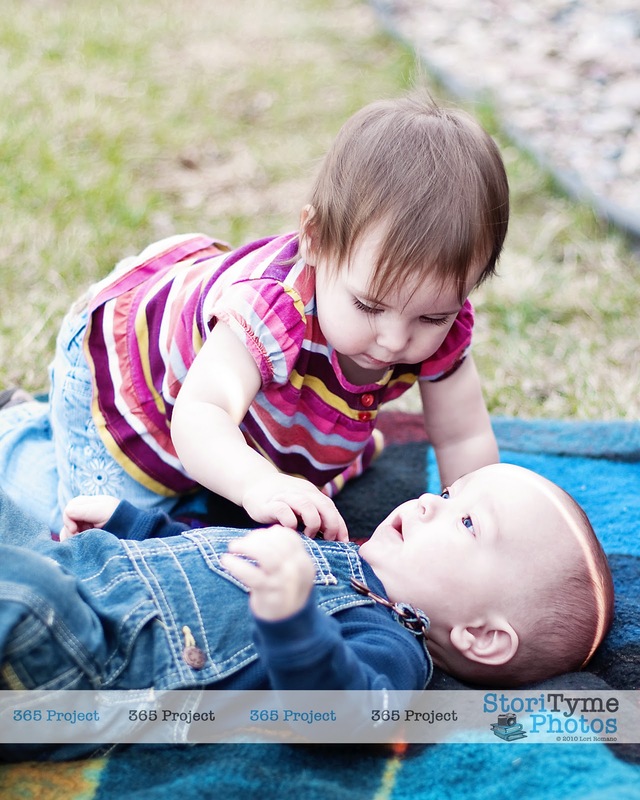 After we finished up the photo shoot in the backyard, Cadence had to come over and check out the buttons on Korbin’s overalls. 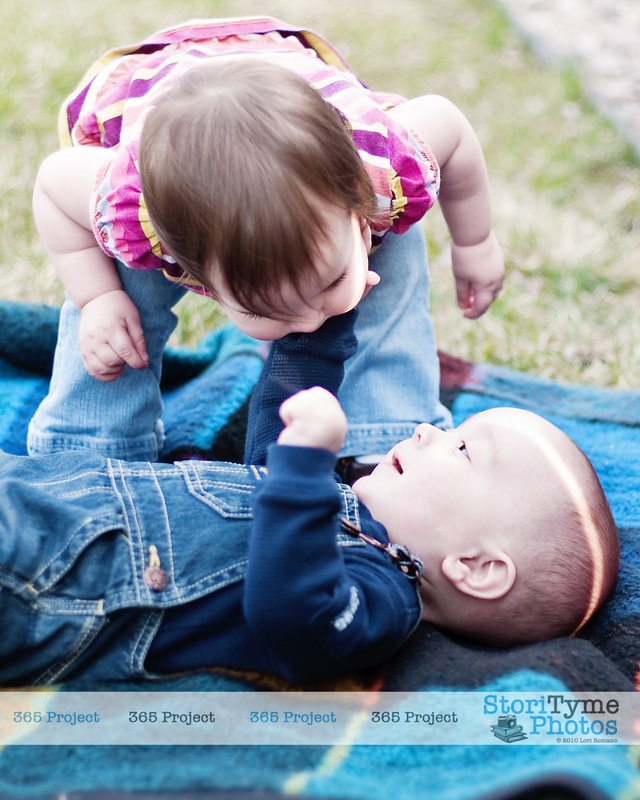 Then, Cadence went in for a kiss before we went bye-bye, but Korbin was having none of it! Haha! Denied! 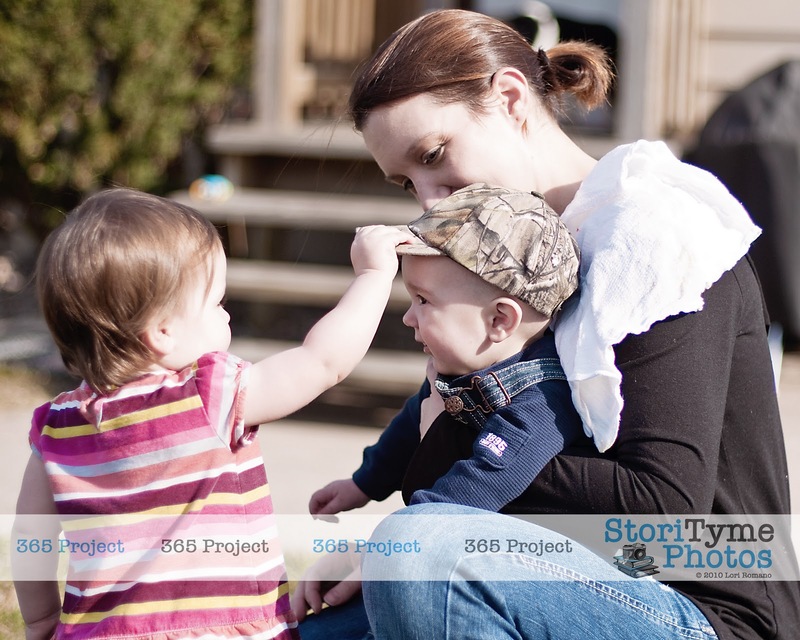 Todays 365 Project entry is dedicated to the adorable Peitz family. Thank for for spending a Saturday with us! We hope to see you again soon!